China’s Alibaba Cloud has launched its Tech for Change initiative. The programme will support projects aiming to tackle global social and humanitarian challenges in education, economic development and the environment. The vehicle’s first tie-up is with iamtheCODE, the first African-led movement to mobilise governments, businesses and the philanthropic foundation on STEAMED – science, technology, engineering, arts, mathematics, entrepreneurship, and design – education for females. 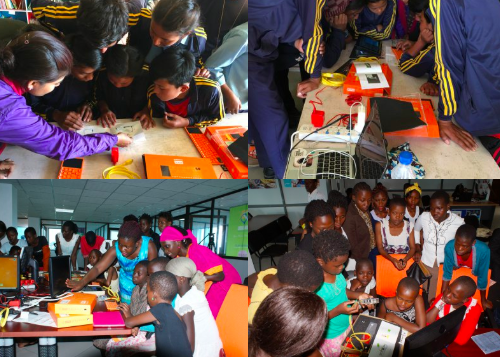 The Tech for Change programme will use cloud tech to help young women programmers in marginalised communities, with the target of enabling 1m coders by the 2030.
iamtheCODE’s digital code clubs can be run in collaboration with technology hubs, schools, libraries, community centres, rehab centre, or in businesses. “By making technology more accessible and affordable, we can inspire creativity and nurture the next generation of game-changers who will make our world a better place,” says Dr Wanli Min, chief machine intelligence scientist, Alibaba Cloud.